Blog | Bartok design Co. Blog – Page 52 – Bartok design Co. These are pictures kindly provided by the client. 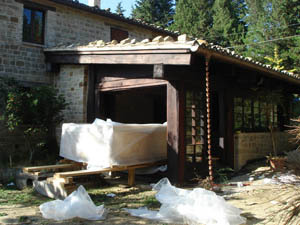 A rural house in central Italy has been remodeled into a japanese culture center. 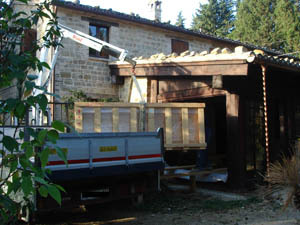 The heavy tub is being unloaded on site. 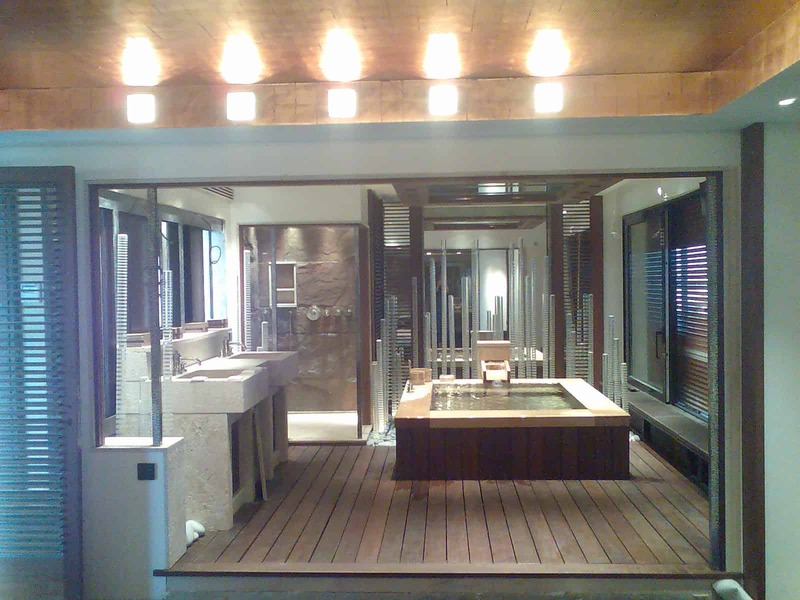 The wood for this tub was set aside last year, while the client`s house was still on the architect`s drawings! We kept in touch with them every while and then to adjust the sizes or just for the season`s greetings: I never met the client in person but almost feel like old time friends. I am almost sorry to see the tub go but – who knows – I may visit one day! 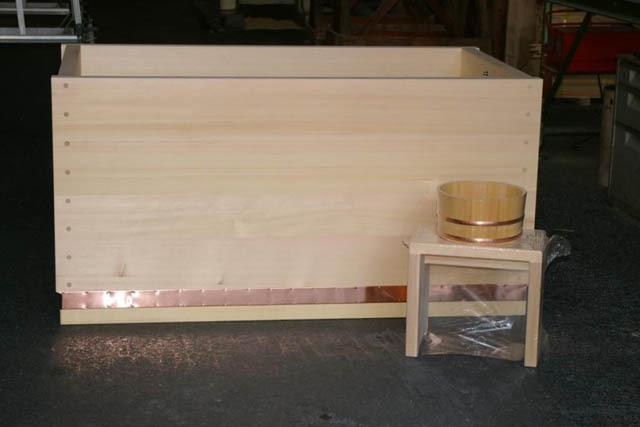 Grade AB Hinoki bathtub L1300mm x W750mm x H660mm with japanese style tub cover and other accessories. 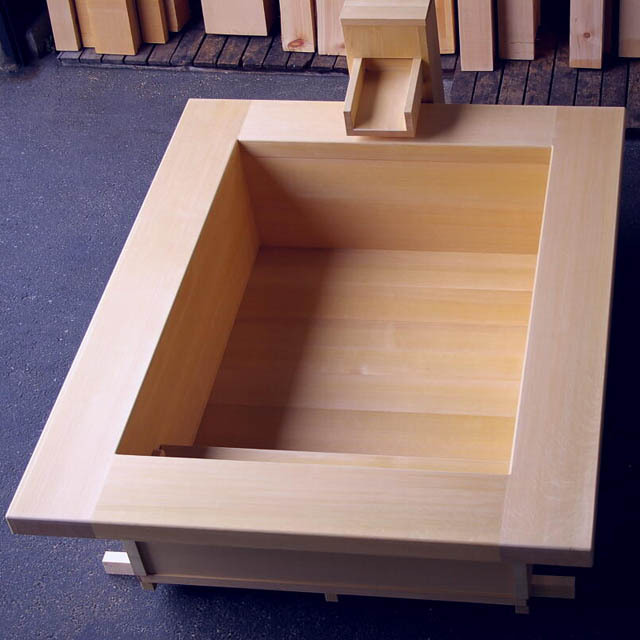 A squarish (900 x 1000mm – internal dimensions) ASNARO-HIBA tub. 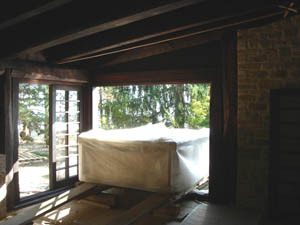 It has a top frame (100×50) and joints are finished with wooden plugs. Here we are packaging a tub to be shipped by ocean freight. * One layer of polyethylene sheet to prevent dehidratation and dirt. 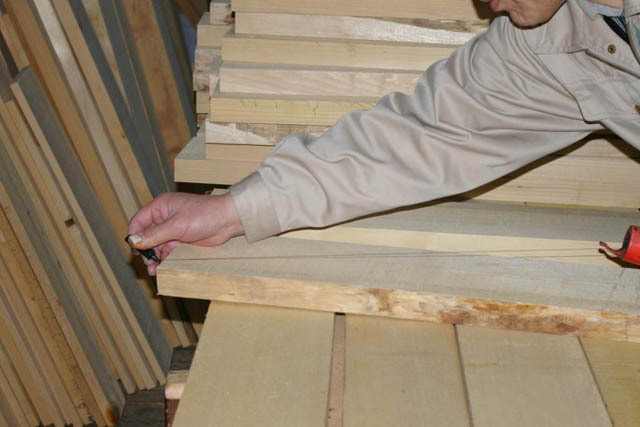 * Solid veneer construction for the custom crate to avoid the need for fumigation or (time consuming) custom inspections/quarantine. Luckily we did not have any problem or damage claim at all so far. 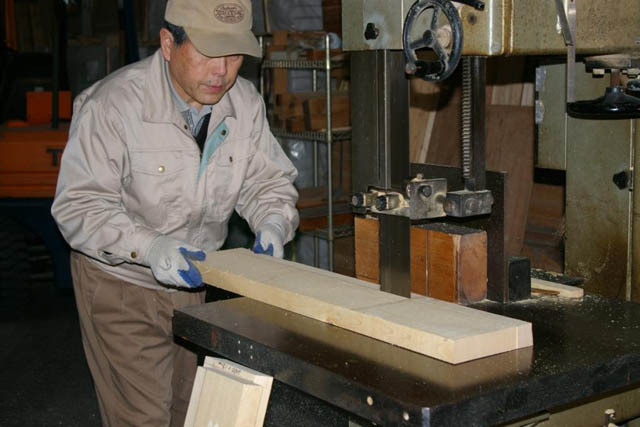 We used transversal cut (slab cut) hinoki for the short and long sides. 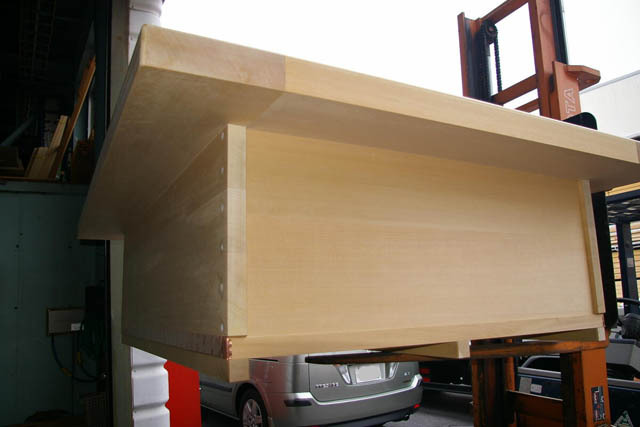 The bottom is in straight cut (quarter-sawn) hinoki. 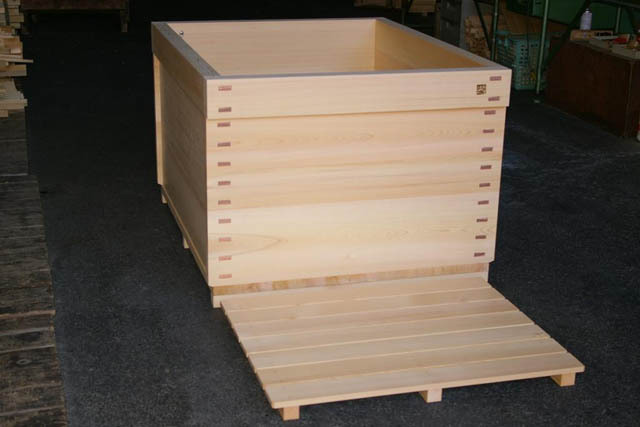 Nicely proportioned quasi-square (L1000 x W1250 x H750mm) tub with a solid 120x55mm top frame. As you can see, we used the copper plates detail and no apron. Preparing the material for a new tub going to NY. 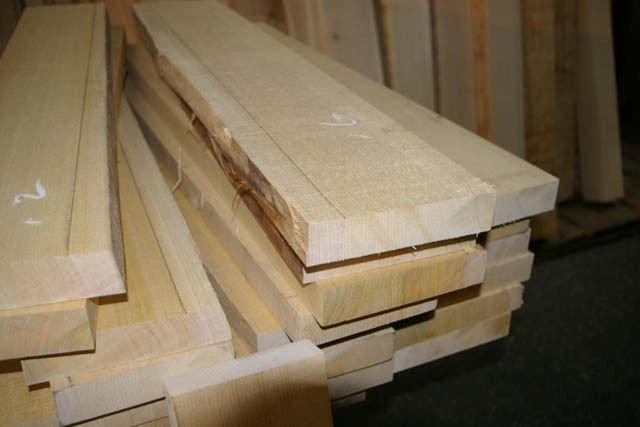 These are asnaro planks. The top kamachi border will be 100×60. 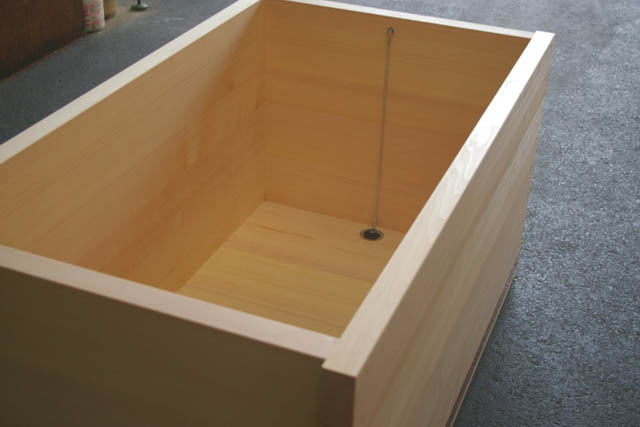 We just received the tub today on the site. I did not see it yet… but tomorrow morning. I will let you know how things will work out. 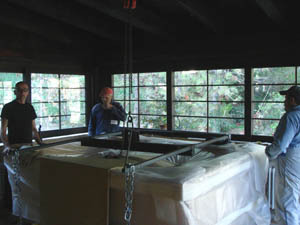 I am sorry I did not get in touch earlier with you, but our project was quite difficult and it took us some time to install the tub in place, as there were access difficulties, and structural problems to be solved. But now everything is fine and we think that it is wonderful that, thanks to your help, we have been able to install such a great piece in such a unique place in Paris. Wood & water: a natural heaven. 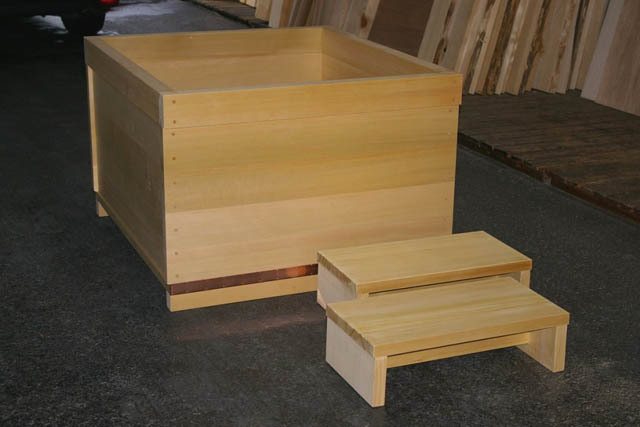 Japanese wood baths are used for soaking, not for washing. While we relax our body in the bath, natural oils with medical properties and soothing fragrances are released in the warm water for a sensation of extreme wellbeing. It may sound strange to our westerner`s ears but your body will get instinctively in harmony with this healthy custom. Bathing in a wood tub: the scents, the soft touch of wood, the tidy beauty of its grain magnified thru the clear water, represents the ultimate holistic experience. You will find yourself energized, rejuvaneted, relaxed. Read thru the bottom of this page to see WHY. Why are the japanese so proud of their baths and hot springs? 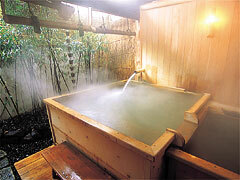 The Japanese ritual of the bath has several reasons besides the obvious purpose of hygene. A warm bath stimulates blood circulation and decongestionates the linfatic system: this is effective both in washing off the sweath of the torrid summer and in preventing cold and influenza during the rigid japanese winter. Medical evidence has been found that a correct warm bath has positive effects on the health of body and mind, also thanks to the curative and emollient effect of minerals and oils present in the water. Recent research proves how negatively charged ions present in the water and steam of a bath “scrub off” magnetic tensions and free radicals, having an “antiage” effect on the whole body. Negative ions also have experimented psychological benefits, imparting a feeling of security and sense of refreshment while they soothe the body. Such ions tend to be generated by waterfalls, fountains, and other sources of agitated water. When bathing japanese style, we first soap and scrub, then we rinse and only when we are “physically clean”, we enter in the bathtub for soaking (at least 30 minutes). Because the body is washed outside the bath, the bath water stays clean and deeply refreshing. Why are the japanese so proud of their baths and hot springs? 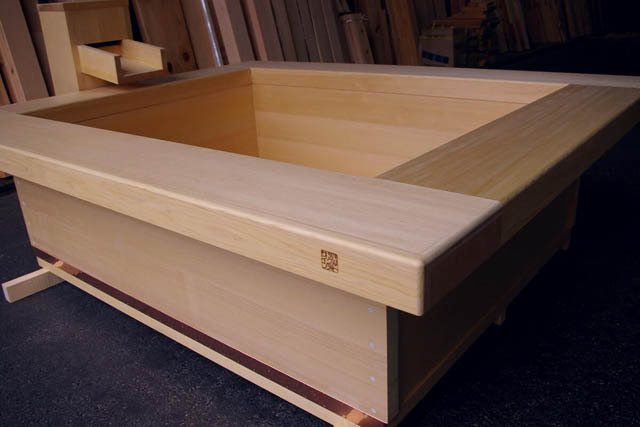 A HINOKI bathtub is ideal for a provides a full sensory experience: beautiful white cedar with a rich grain, smooth texture, soothing lemony fragrance, and the warm comfort of soaking away all the tension and stress of the day. The tub going to paris is ready to be packaged and shipped. This large tub (dim. 2126 x 1736 external dimensions x H625mm – depth=538) was built in knotless asnaro for a recessed type installation. 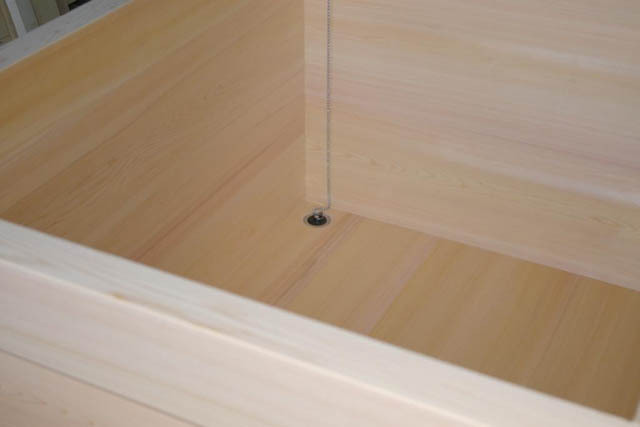 The tub is also equipped with an internal removable bench and a W320 x D520 x H880 floor mounted spout, also in asnaro wood.